The strategy of Pilot in the last 30-something years is consistent: a commemorative pen is launched as a limited edition, and then that model, albeit with minor variations, might become a regular model. 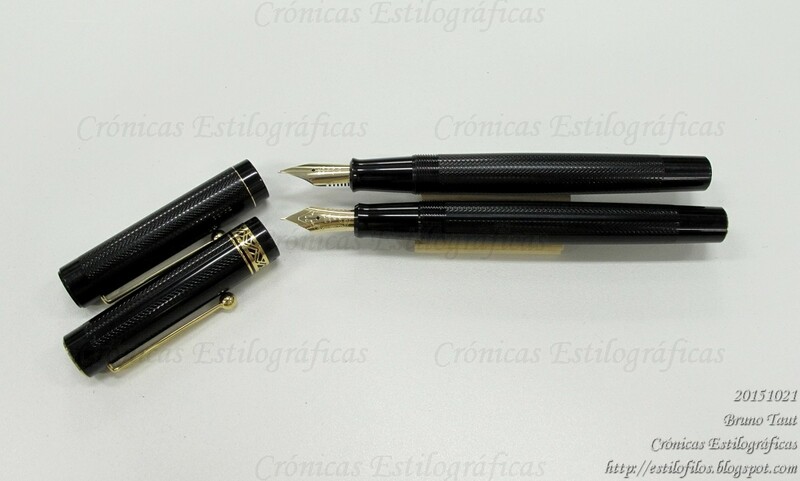 That was the case of the Custom 845 (based on the 75th anniversary model), and of the Custom 67 and 74 (65th anniversary pen). And in between, the 70th anniversary model. This one was marketed in 1998 as a limited edition of 7000 units at a price of JPY 38000. It is a flat top, also called “vest” style in the Pilot jargon, and followed the design of some old Pilot models from the 1920s and 1930s. And, in fact, the subtle barleycorn engraving on the plastic body follows the pattern of many a vintage Pilot. However, the filling system relies in clean and reliable cartridges and converters. A "vest type fountain pen", according to the text. The 70th Anniversary Pilot in its wooden box. The insides of the pen do not match the classic look. The filling system is by cartridges and converter (CON-70). The cartridge is protected by the black sheath visible in the picture. The nib is, for once, quite interesting. The very simple engraving says it is a size 10 in a FM point, and this was the only option. 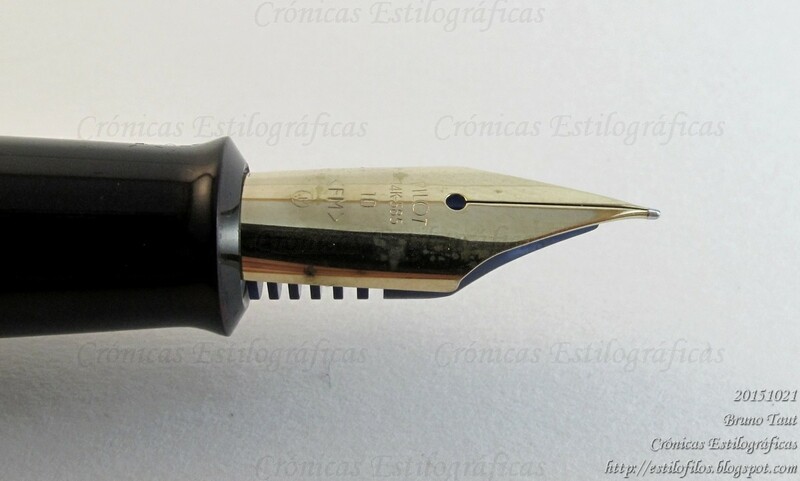 But this nib is not any regular size 10-nib—the tip clearly bends downwards, but unlike the Pilot posting nib, available as well in size 10, this FM point is fairly flexible. The FM nib in size 10. The nib points down, but it is not rigid. 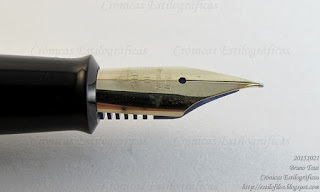 A regular posting nib in size 10. 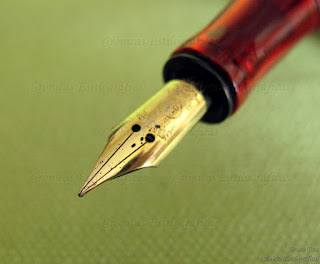 A posting nib always points down, is very rigid, and draws a very fine line. 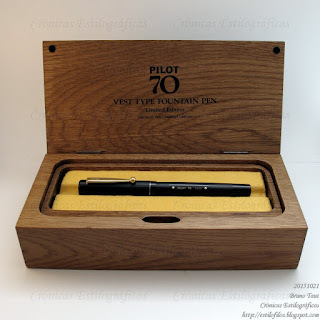 On top, the 70th Anniversary Pilot. On bottom, the Custom 72. Note the wider cap ring of the later. Both pens carry a similar decoration on their bodies. This time, the regular model. the Custom 72, was not a simplified version of the limited edition. Then, two years later, Pilot launched the model named Custom 72: a flat top in black plastic. 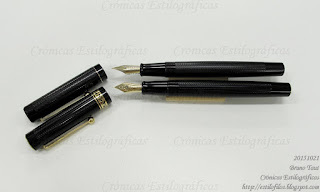 This time, however, the regular non-limited model was not a simplified version of the 70th anniversary pen. I can't help but feeling that these are a tribute to Onoto. Nonetheless, thanks for the infos mate. I was thinking about getting the anniversary pen at one point. Thanks for your comment, Tony Rex. You might be right. 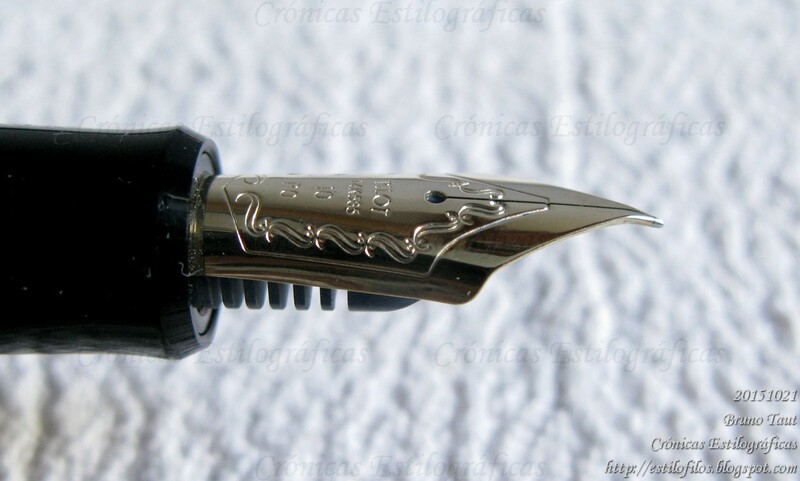 I told, hopelessly, the official story, supported, nonetheless, by the Pilot naming as "vest type fountain pen". However, as you point out. those old pens could be inspired by the Onoto arriving in Japan since the late 1890s. The anniversary pens by Pilot, and by others, offer a good and often brilliant selection of pens that, in many cases, determined the fashion of models to come. They do not come cheap, but in turn there are not that many pens to chase. As always very informative. Do you have a post listing all the anniversay models? Just bought one of these. Wanting to know more, looked online and no surprise, found that you have already done a write up. Thanks. A question remains. Mine has a black plastic bag labeled “spare”. I can not see into the unoped bag and can not tell if it is a cartridge or converter. Do you know? Thanks, Tinjapan, for passing by and commenting. My unit came with a black-coated CON-70 converter on the side. And no black plastic bag.